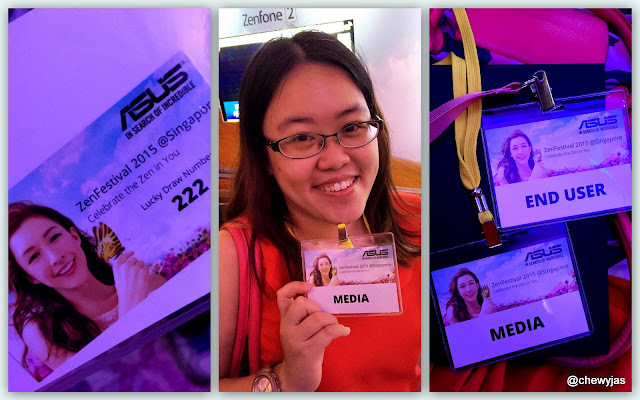 The ASUS ZenFestival launch event held at Chjimes today was a great success as ASUS officially announced the availability of the flagship ZenFone Selfie (ZD551KL), and 2 other new additions to the ZenFone series, the ZenFone 2 Laser and ZenFone Go (ZC500TG). Over 300 attendees consisting of media, partners and ASUS ZenFans attended and I was glad to be part of them. The whole place was really beautiful. The emcee that night was Lester Leo. 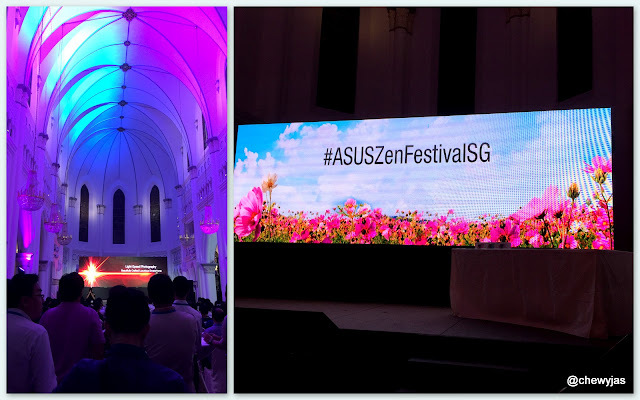 Everybody present at the ASUS ZenFestival was given the chance to experience the 2 latest models, the ZenFone 2 Laser series and the ZenFone Go. 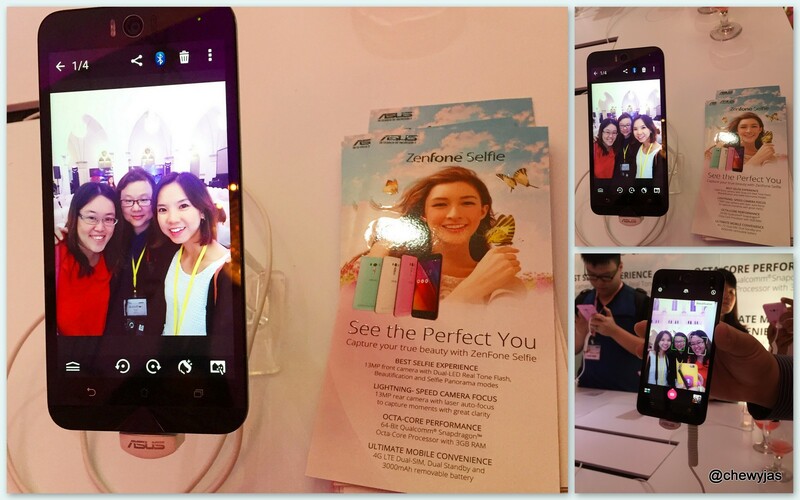 There are also various experiential zones for a chance to have a hands-on experience with the flagship model ZenFone Selfie. VP of ASUS, Mr Benson Lin together with celebrity guest Michelle Chong (Left Profile artiste) who makes a special appearance at the ZenFestival to share with us about her experience with the ZenFone Selfie. If you have followed Michelle Chong on instagram, you would have saw a few snippets videos of Kelian. Initially, I thought it was a new role she will be taking up. So when this new character Kelian was unveiled at the event, I was quite surprised. Watched the whole video of Kelian below. 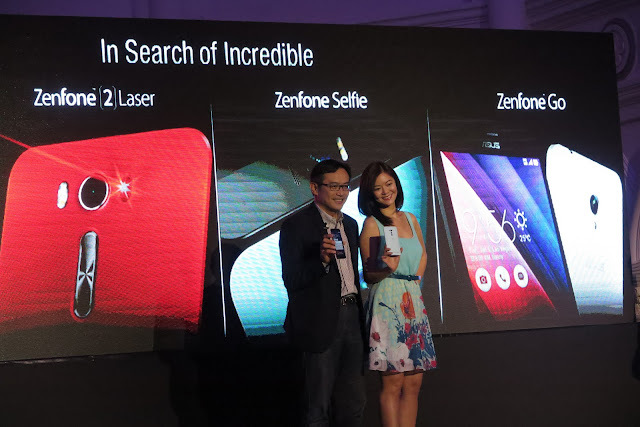 Some of the key points for the ASUS ZenFone 2 Laser smartphone. #1 Removable battery: First ASUS smartphones with removable batteries. #4 Corning® Gorilla® Glass 4: 2X damage resistance, 2.5X stronger and 85% less likely to break than its predecessor. #5 Simpler, smarter and more personal: ASUS ZenUI improves Android experience with over 1,000 enhancements. The ZenFone 2 Laser 5.5-inch (ZE550KL) will be available in Black, Red and White colours at $279 at Best Denki, Challenger, Gain City, Harvey Norman, MC2, Newstead, Singtel, Starhub and M1 shops. For those searching for an affordable and decent smartphone, the ASUS ZenFone Go (ZC500TG) is the one. Available in Black, Red and White colours at just $179 at Challenger, Gain City and Newstead. 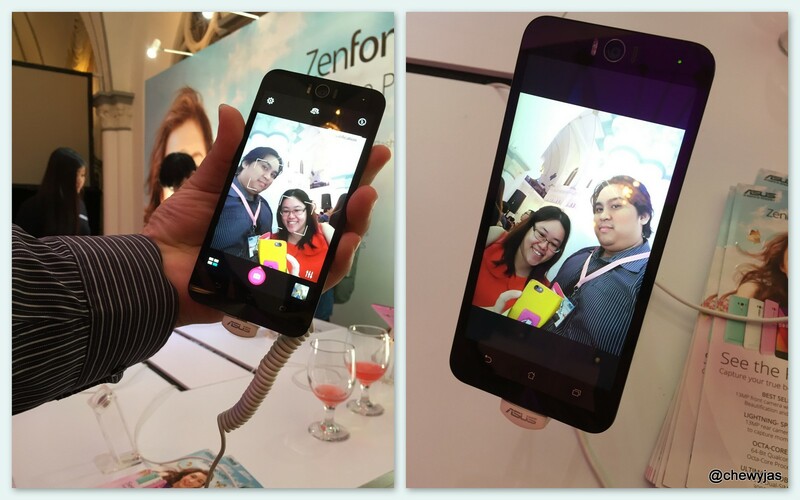 We just have to try out the ZenFone Selfie for ourselves and I really love the selfies taken with the phone! We were able to capture really good selfies/wefies with the phone due to the 13MP front camera with Dual-LED Real Tone Flash and beautification mode. According to the fact sheet, one unique factor is the selfie panorama mode, which enables selfies with an outlook of up to 140 degrees, for a large field of view with every shot. Can't wait to get my hands on the phone to try that out! Managed to grab a photo with Zenny the mascot. Zenny is so cute. He even danced on stage earlier on. See short clip here. Door gifts and lucky draw prizes. For every photos posted on social media with their official hashtag at the event, we get to have an equal number of tries at the lucky draw counter. We went home with lots of cute Zenny stationery. The Zenny selfie stick was our door gift. Although I love taking selfies but I've never get myself a selfie stick before. This marks my first selfie stick! Thank you! OOTD at the beautiful stairs at Chjimes. Organizing grand corporate events creates significant buzz for most corporate houses. Hence, corporate event planning must be done well in order to avoid any issues. Many corporate houses hire event managers to pre-plan these events. Visit Jas Jas's profile on Pinterest.